Home Uncategorized Mukono, Wakiso Lead In UCE Exams Performance. Find More Details Here. Mukono, Wakiso Lead In UCE Exams Performance. Find More Details Here. Yesterday 7th February, Uganda Examinations Board through the State Minister for Education Hon. John. C. Muyingo at the office of the prime minister released results for students who sat Uganda Certificate of Examinations last year 2017. Out of the total number of 320119 students who sat for UCE exams last year, results of over 4500 students are withheld by the board over cheating and other malpractices. 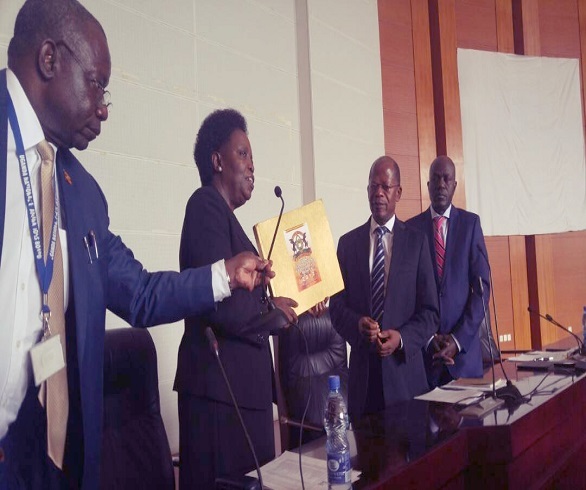 According to Prof. Okwakol Mary the Chairperson UNEB, revealed that results for 4525 students were not released by the body over malpractices and other several reasons. We received information from different sources like examiners, field supervisors that these students involved themselves in malpractices. The board’s security committee then examined the evidence in detail and when they made a case out of it, it recommended that we withheld the results” said Prof. Okwakol Mary. Flash Uganda Entertainment brings the top and worst performers of last years from different regions and Districts. According to the reports from UNEB, Mukono, Wakiso and Kampala schools outcompeted others with the highest number of first grades. Mukono with 2958 (24.7%) , Wakiso with 7000(21.2%), and Kampala with 3895 (19.3) candidates with first grades were the first, second and third highest performed districts respectively. Whereas Bukwo, Butaleja, Bundibugyo, Kween, Kapchorwa, Palisa, Bulambuli recorded the highest number of failures. While speaking at the event, UNEB executive Secretary Dan Odong said that even this year students failed more of science subjects and this due to failure by science teachers to integrate the teaching theory and practicals. “In very many schools, practicals are not done by candidates until towards examinations whereas candidates go into the practical examinations, ill equipped and most of them fail” Odong said. Among the best schools include London college of st Lawrence, Uganda Martyrs Namugongo, King’s college Buddo, st Mary’S Kitende, Namilyango college among others. Previous articleMemorial Tugende Mu Kikadde Revamped In Second Edition. Next articleMowzey Radio’s Suspected Murderer Arrested From Kyengera.